Clootie Wells are ancient Celtic sites found in Scotland and Ireland where people would leave articles of clothing, called cloots, as an offering to the gods to help with illnesses. It is believed that as the cloot disintegrated the illness also goes away. Some believe it grants wishes. Clootie Wells are usually around natural wells or springs in wooded areas. 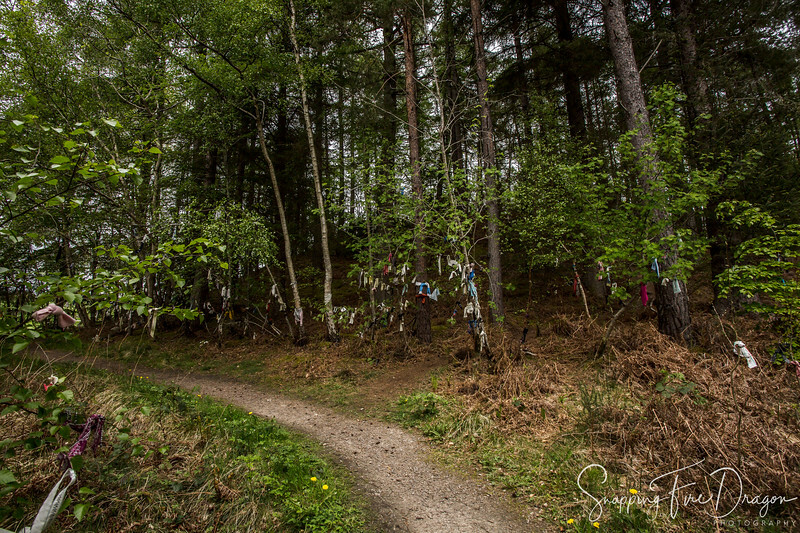 This hike at the clootie well in Munlochy was an interesting find!